Born 1971 in Hamburg Zoo, Germany. Died June 4, 2018 at La Plata Zoo, Argentina. …through her last few weeks we all seemed to feel she was ‘glowing’ radiating an angelic light from within, we imagine this is who she was before her physical ailments took over her body and this is how we’ll always remember her. Stunning, stoic, a little insecure, soft with the charming ability to train all of the humans in her life to do exactly what she wanted, no matter how ridiculous. Although it still hurts to think of the past couple of weeks, we can share stories and smile about how truly marvelous she was. Pelusa suffered at the hands of man but because of her spirit, she was able to open the eyes and hearts of many in her city and around the world. Being so close to sanctuary, yet never walking through the gates made many examine their role in her suffering, realizing they were part of the problem, being ashamed, but also becoming part of the momentum for change. There was no denying captivity killed her and that the only reason she was there was because of human desire. She completely broke many hearts but also changed the future for captive elephants in South America and beyond. Elephants are the most selfless creatures we have worked with. We have seen them give up everything for another elephant, without thought, judgment or holding a grudge; it is second nature to them. Although this ‘ending’ is not what any of us had hoped for Pelusa, there is some comfort knowing that her death brought about a heartfelt understanding that none of us ever could have and her spirit and light will go on and continue to help elephants around the world. Extraordinary in life and death-never to be forgotten. When you see Pelusa in photos it’s hard to get past her gaunt appearance and diminished condition. Sometimes there is a sweetness that shines through and immediately creeps into your heart. She was beautiful, even up until the moment she was gently covered in dirt and physically left us forever. In person her tough side was palpable, for all that was physically wrong with her, she forged on with a determination that told you she still wanted to fight. For as strong as she seemed, you couldn’t help but want to love and care for her and try to find a way to fix decades of damage she didn’t deserve. It wasn’t until she was confronted with something new that you saw how insecure her physical body had made her. In videos of the past, she had a visible attitude, a little rough and tumble; that strength was still there, it was the confidence that had gone. Physically she was considerably compromised. Pelusa’s foot issues were significant and the unfortunate result of life in captivity. The zoo acknowledged this and was part of the reason for agreeing to send her to sanctuary. We all knew it was her only chance at an emotionally and physically healthy life. The other big reason for wanting to give her sanctuary was so she could experience the comfort and companionship only another elephant could give to her. Her small, sterile enclosure at the zoo offered her little but she found comfort in her caregivers, they were the joy in her monotonous days. Even they knew this simply wasn’t enough. We first met Pelusa almost two years ago, before the sanctuary had the infrastructure to house any elephants. This visit began our long relationship with the zoo, making recommendations and trying to improve her condition. Several visits throughout the years were made by Scott and Kat Blais along with elephant and wildlife veterinarian Dr. Gohain. During the last 8 months, Pelusa’s body condition began to deteriorate significantly. She lost weight, muscle mass and the condition of her feet continued to decline. With permit delays we felt it was necessary to send a caregiver to take care of Pelusa in the last months before her transfer; someone that cared only for her and could help to build up her strength before her trip to sanctuary. We sent Suz, a caregiver we trained and worked with in Tennessee who embodies the term caregiver as the core of who she is, not just her job. Suz quickly fell in love with Pelusa and enjoyed doting on her and playing the daily game of trying to discover what her favorite food of the day would be. 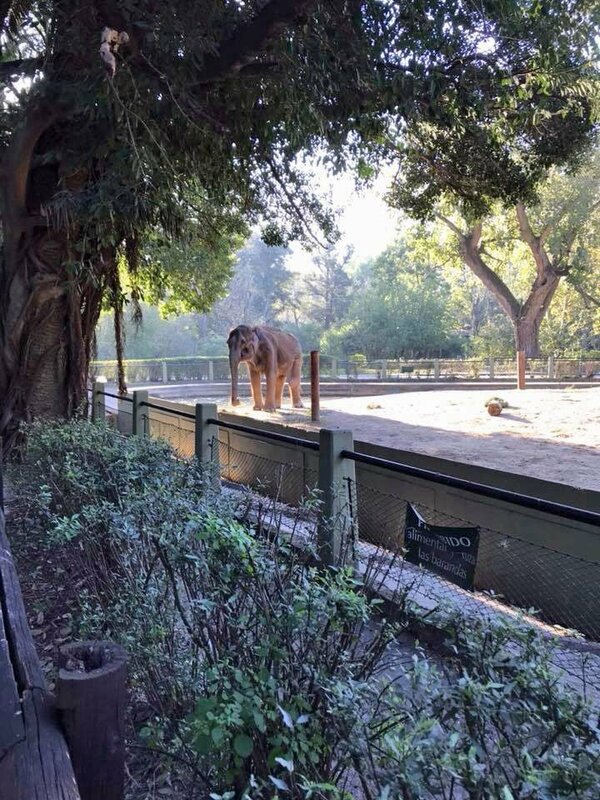 Pelusa’s condition and demeanor began to improve- she put on over 500 lbs, became more active, even wandering into the back yard of her enclosure, somewhere she had never ventured. As we all started to gain confidence in her ability to make the trip, Pelusa quickly and drastically began to decline and within a couple of days was found lying down in the morning upon Suz’s arrival. Immediately we went into emergency mode, giving recommendations with how to proceed and Scott put himself on a plane arriving at the zoo the next morning. Although arrangements were made to be able to lift her, Pelusa’s body clearly had no desire to stand. Her blood values declined rapidly and she made no attempts to even sit up. It seemed our beautiful girl was done fighting after years of battling through all of the pain, her body was quickly shutting down and the pain and the rest of it was all fading away. 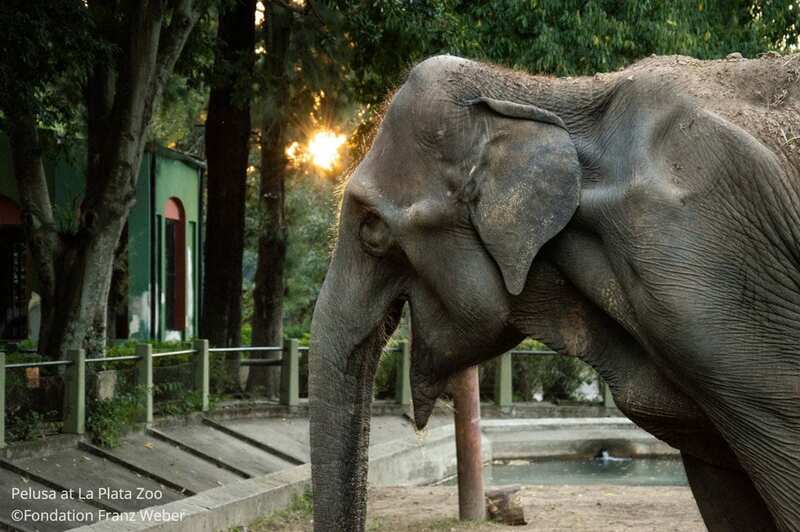 The zoo made the decision to euthanize, all of her humans said their goodbyes and she left the body and the world that had betrayed her for decades- supported and loved. Our commitment to elephants is beginning to end- always. Scott spent the night making sure her body was respected as a grave was dug and she was moved. The next morning Suz and her caregivers returned, a necropsy was done and her body was lovingly adorned and buried in the yard she only recently ventured into, below an archway. Although it wasn’t the ending we were all hoping for, it was her journey and she had decided it was done. And as in life, we try to listen to what they communicate to us and honor their choices, this time broken-heartedly. 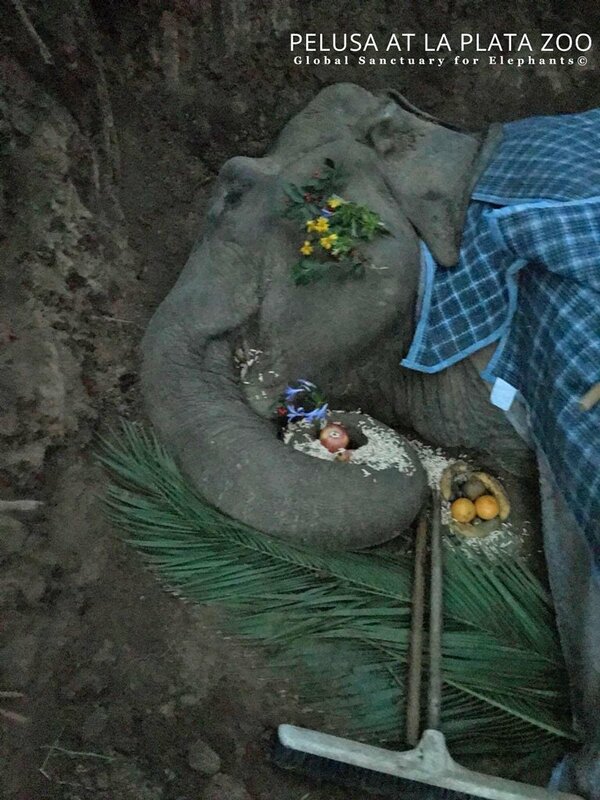 The photo below is Pelusa just before she was buried, in her final resting place. The flowers were brought in by the two daughters of one of her caregivers, the key is to her barn- a final gesture of freedom and the broom is broken in true Pelusa style. Scott and her caregiver with Pelusa while she was down but still eating. Honesty, transparency and honoring our word have significant meaning to us. It is why we posted as soon as Pelusa went down, shared her progress and passing and now why we will be building Pelusa’s Medical Center. We held a fundraiser to buy supplies to build a jacuzzi and a medical building that would allow us to take optimal care of Pelusa and all of her substantial needs. 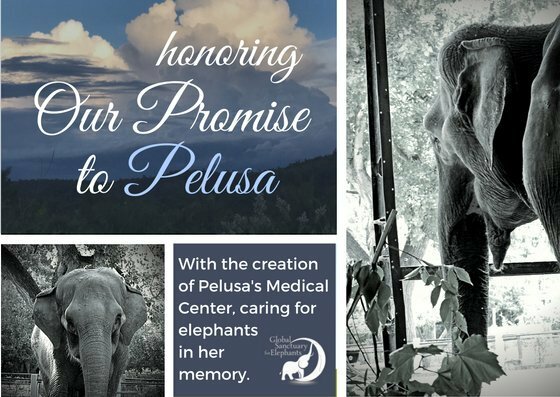 Now that Pelusa has passed that money will go to its original intention, but instead of aiding Pelusa in her healing, Pelusa will be aiding other elephants in theirs. Although she never met her herd mates in person, she will be a part of them forever. Above are her two memorial trees planted at Elephant Sanctuary Brazil. The middle photo is of her pata-de-elefante, elephant’s foot, named so because the base resembles an elephant foot. 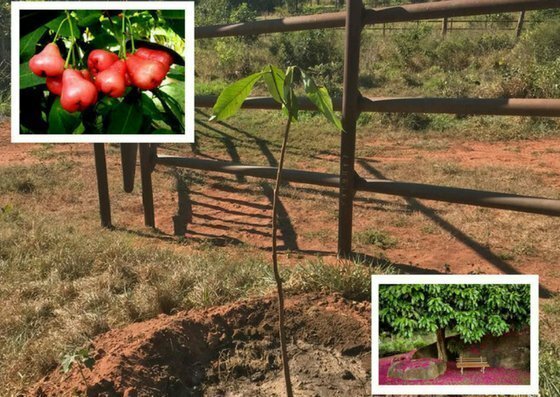 Her other tree, on the right, is a fruit tree called a jambo, similar to a pear (they can’t grow in this part of Brazil) which will be planted just outside of the first elephant yard, where the girls will be able to reach it once it is large enough to bear fruit. Please Leave Thoughts, Wishes, Emotions Or Whatever Pours Onto this Memorial Page For Pelusa. There have been few times in my life when I have struggled so hard, yet failed so completely, to put into words the depth of anguish I feel for the loss of Pelusa. All the lost hope that she might have had life at sanctuary enveloped in love, compassionate care and trunks to touch after 45+ years where there was not one reaching back to her. The only comfort found, and it is deep, is that two champions had entered her life in her final years. Two champions who told her and the world that she mattered. Fighting against unimaginable odds day in, day out to bring her hope and dignity with every breath that they, Scott and Kat, took. Joined by Suz who gave Pelusa love, whispered words of hope, physical comfort, pears, pineapple and so much more for the last nearly eight weeks of her life. No words. Just the ebb and flow of anguish for all that humans took from her, and comfort from all that three humans gave back to her. Godspeed, Pelusa, you will be loved and missed forever. We think of you everyday and you will be in our thoughts forever. We miss you terribly and love you with all our hearts. With heavy heart full of surrows send my special prayers to Pure soul of Pelusa and apologizing her for all the pain and suffering that she’s been through, just to satisfied of ugly human grids ! Beautiful Pelusa, I hope your tragice death will be a lesson for cruel hearted people and become a clear, solid resone for opening the gold gates of freedom to many other innocent Animals lives. Rest In Peace Innocent PELUSA ???????????? Beautifully said. We find all the right words in hindsight yet not enough of the right reactions in time. Beautiful Pelusa, you will never be forgotten and you were loved by so many. It would have been wonderful if you could have experienced the joy and freedom of sanctuary but you were loved at your final home and that is so important. You will forever be in our hearts. My heart still breaks and the tears still flow when I read about her premature end. So close to getting to sanctuary… We must continue to fight for every captive elephant to ensure a better life for each and every one. Pelusa will always be a reminder to me as to how important it is to allow every living thing to be exactly who they are. A reminder that trying to change is taking away what is meant to be. Pelusa did not have the life that she so deserved-she was failed by those that tried to change her. But she was also loved by many–those who wanted her to be exactly who she was. Rest sweet Pelusa. We will take it from here, in memory of you. Beautiful Pelusa- I cried buckets when we lost you. The depth of my grief surprises me, as the first picture I saw of you convinced me you would never make it to Sanctuary. That changed as I saw you gain weight and become more engaged, and I wanted to move heaven and earth to move you. But once again humans failed you, as time ran out on your poor tired body while we waited in vain for a permit. My promise to you is I will fight forever for your brothers and sisters. I’m glad your suffering is over. I am sorry for the way you were treated by humans most of your life and the terrible toll that was so obvious to see. But you will not be remembered for that you will be remembered for just being an Elephant possibly the most magnificent animal walking the earth and all you wanted to do was live. Pelusa, I had only started following Global Sanctuary for Elephants a few weeks before you died. I immediately began cheering you on as you gained weight and strength. I was so sad when you died, but your just body couldn’t take it anymore. I’m sorry humans kept you in a zoo, but you are no longer suffering. 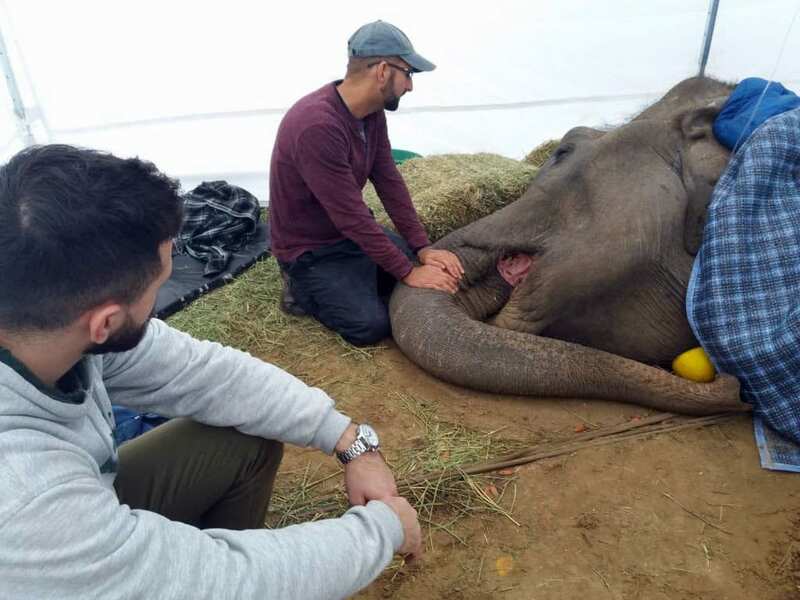 Pelusa’s story, our hopes for her to finally reach sanctuary, to be with her own herd, to have her physical and emotional needs met, touched me deeply. Joining together with other loving folk, donating, sending encouragement and light, celebrating every positive development made it feel like we all truly knew Pelusa, as if we were all there with her, laughing, crying and mourning together. Pelusa, you will never be forgotten, we honour your memory by remaining committed to bringing as many elephants to sanctuary as possible. Pelusa, you ever so much a part of the herd at Sanctuary in Brazil even though you never made it there physically. You were one of the herd. You always will be. Humans made the wrong decisions for you most of your life until the very end. I’m so glad your last weeks were on the upswing and that you showed signed of improvement. Your life was not in vain and you will always be remembered for your very important story, your soul, your heart. I’m glad you are no longer struggling with pain so you must be in a much better place. Sweet dreams, beautiful Pelusa. Your spirit is alive and well in many hearts across the world. Now there are two beautiful trees at Sanctuary for you. Much love to you. Rest in Peace. It still breaks my heart to see her photos and read about her and realize that is has passed and will never experience freedom for the first time in her entire life and what really hurts is that she got so close! I am very grateful and it gives me some solace that she get unconditional love from the GSE folks at the end of her captivity and I’m sure that she really appreciated that! May she rest in peace and whereever she is now I hope that she is happy & free! God bless her, she is missed! Pelusa, you did more for elephant causes in your last days than we humans could do in our whole lives. You woke up people to the suffering we inflict on not just elephants, but all captives. You are our soul. RIP sweet one. So many tears have been shed for you from around the world. Run free with your heavenly herd. You deserved so much more while you were with us, we truly grieve for our loss. Pelusa : Argentina te debe una disculpa que excede lo posible. Argentina te quitó la Libertad, miles de argentinos indiferentes fueron cómplices de tu calvario. Pero miles más seguimos alzando nuestras voces para liberarlos a todos. A TODOS. ¡¡WE WILL OPEN ALL CAGES!! This was heartbreaking to read. I am so sad that humanity cares not for the poor voiceless animals who ask for so little but give us so much. That said, I am so gratified by all the caring human beings who fed her and took care of her at the end. At least Pelusa departed the world that she was loved, and that she meant so much for so many of us. Let us dedicate our lives to helping the many other elephants in captivity, in servitude and in suffering. In their freedom, we will finally offer tribute to our beautiful Pelusa. Pelusa you taught us all grace. Despite the suffering inflicted on you, the emotional and physical pain you endured, you still remained true to your gentle heart and did not allow the forces that held you captive to change who you were. A gentle, strong lady with an iron will. I believe your life and your majesty will go on in another form. Whatever shape your new life takes I pray you are wild and free. People who were ignorant to what captivity really means to an elephant know better now. Your passing broke our hearts but we will honor you through action! Sweet Pelusa- roam free ???????????? Dear Pelusa…you touched my heart and soul, and I was heartbroken when you passed. I cried great, big elephant tears when you left us. Love you sweet girl. 20 yrs ago my love affair started with an elephant named Barbara. Pelusa in some ways you reminded me of her.Barbara taught me how cruelty of humans and a body letting her down did not deter her from embracing sanctuary and how I had wished that for you. I remember the heartache when I had checked on my sweet Queenie in the evening to only be devastated the next day to learn she had unexpectedly left us.Queenie taught me to love elephants in the moment because when given their choice they might slip away without any warning.Pelusa you taught me how we could be so very close but still not close enough. Everytime I share a post,donate or write an email to some human who could help another elephant I will think of you and be reminded we must get close enough! Namaste sweet Pelu???????? Many hearts were broken when you passed on Pelusa..we all wanted so much for you to have sanctuary. I am happy that in the end you were surrounded by such love. You will never be forgotten. Your beautiful spirit will live on in our hearts forever. Your life will not be in vain. You have made the ultimate sacrifice in being the face of animals in captivity. I know you did not ask for this darling, you of course did not, nor never should have suffered such a fate. As a member of the destructive and selfish human race, I ask for your forgiveness. You opened your heart and showed love to those who cared for you, and that is a beautiful testiment to your character. We do not deserve your forgiveness. But I promise you, dearest Pelusa, that there are many voices screaming your name, and fighting endlessly, so that, your suffering will have not been for nothing. You will never be forgotten. Love and light, always and forever. Since I saw the pictures of you, Pelusa, I loved you and hoped so much you would come to GSfE. I fought with you with prayers and everything I could give. Soooo sad you did not get this ???????????? run free with the herd now in Heaven dear Pelusa. Never will forget you!???????? Now fighting on for all the other captured Elephants to get them free and bring them to the sanctuary. The Team at the Zoo who gave her at last so much love: thanks a lot. 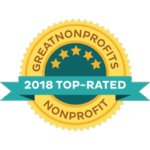 To Team GSfE: Thank you for your love to Pelusa und for never give up. Thank you for this wonderful Tribute to Pelusa and to plant the trees for her. My heart cries because of Pelusa. But now must get strong again for all the other Elephants and animals who suffer and have to get to sanctuary. Pray and fight on. ???????? greetings from Germany to lovely Pelusa and the wonderful team. Dear sweet Pelusa was a wonderful elephant. No elephant should have to live alone. Thankfully the zoo agreed to let Pelu go to Sanctuary at GSE. While all the paperwork was being done her carers did love her and were doing their best for her. Scott and Kat did everything they could to get her to her new home. Suz was with Pelu for the last couple of months of her life. We were all so hopeful that she was showing encouraging signs of getting stronger. Suz bought her pears one day and Pelu devoured them. Whenever Suz could get the pears, Pelu would eat them. Then she started to go into the area she had never gone into before. All positive signs that she was getting stronger and would be able to make the journey to GSE. Sadly this was not to be. I cried a lot when I saw the first post about her laying down. We knew this was serious when Scott traveled to be with her. Her poor body could not fight any more and she passed. I have cried many times since them. She is now out of pain and can run and be happy. I would like to thank, Kat, Scott,Suz and everyone else who loved and cared for her. We will never forget you beautiful girl. RIP BEAUTIFUL PELUSA, MAY YOUR SOUL RUN FREE. ❤️????❤️???? Dear Pelusa…thinking of you from Indianapolis, USA. I only recently became interested in elephants and started following GSE. I read all the profiles of the elephants waiting to come to the sanctuary. Though all their stories were horrific, Pelusa’s story hit me the hardest. It broke my heart to think of her living nearly her whole life alone in that zoo. To never see, hear, touch, or smell another elephant for over 40 years. Perhaps it bothered me so much because I’m the same age she was, and I couldn’t hep but imagine what that kind of isolation from your own kind would be like. I’m surprised at myself for being so affected and crying over a lone elephant on another continent. I do not know how much news travels between countries in South America. Let’s hope that permits officials in other SA countries hear the tragedy of Pelusa being so close to sanctuary but just not being able to hold out any longer. Let’s hope her story helps other elephants in need who come after her. Amazing how this beautiful elephant got so deep into so many hearts. She must be magic! In memory of Pelusa who taught me and many more of us so much, and helped so significantly with the rethinking of the captivity of elephants in zoos. You Pelusa, heralded a huge change in direction – more people than ever learning that wild animals should not be kept in zoos and that humans must give up this selfish attitude. 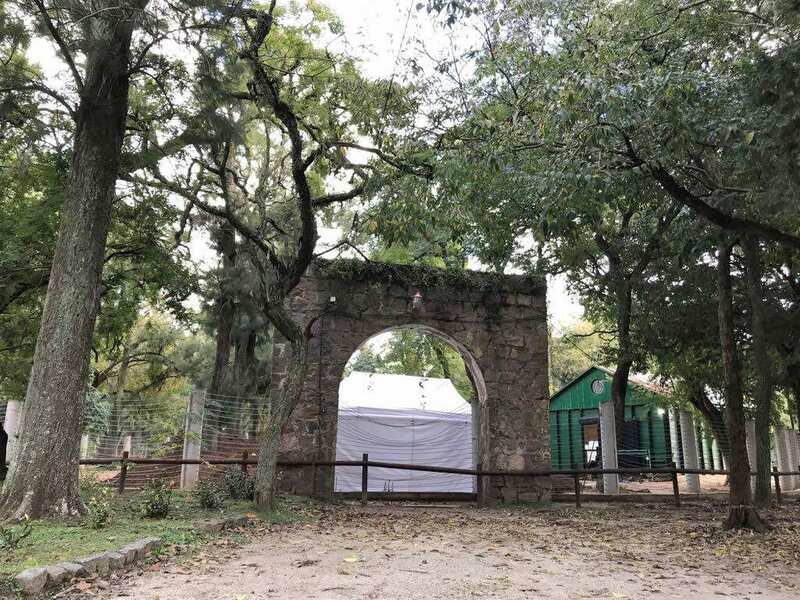 You Pelusa are an important reason that La Plata Zoo came to the decision to close its gates to wild animals, rehoming those that it still has to sanctuaries, and changing its purpose to a bio park. I’m glad that you had carers who loved you and you them at the zoo, your only meaningful company, it is horrendous that you had to go through 45 years without the company of your own species, painful for us to realise what we humans did to you. Reaching out to the positives, you taught us all so much, the example of what captivity does to elephants which spurs me on to work to do my best to work for captive elephants in the only way we currently know how – get them out of zoos and in to the care of those who understand that elephants need to be elephants, wild, but for captive elephants, true sanctuary .with the companionship of other elephants, and autonomy. I’m sor sorry you had to die before you could experience that. Also in memory of my Grandmother who once said to me in her quiet way – I never go to zoos or circuses – I didn’t quite understand her at the time, a young teenager I had never considered it, But I’ve always remembered it and now I do understand. I am so sorry for her passing,I am sadden by this. ???? I am new to the world of elephants, though I have always loved them. But Pelusa was the first one I knew (via stories and pictures) that I came to love on a very personal level. My heart broke when she passed. And my heart broke for those who worked so hard to get her to Sanctuary. I will strive harder and talk louder to get her message (and that of her human’s) message to others. Pelusa, you will live in my heart forever. I will never forget. I am so overwhelmed. With grief and heartache I can barely think or act on anything else. I can’t imagine the heartache that her keepers are feeling! My. Heart aches for them as well. 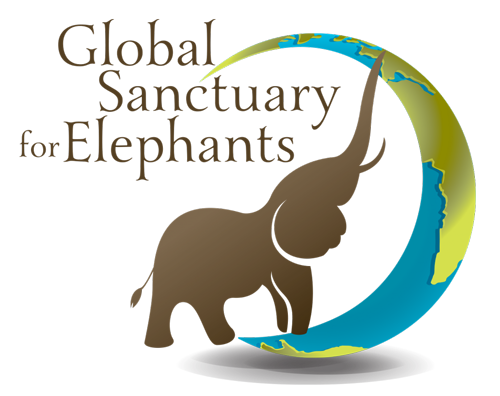 I am so very grateful for the Global Sanctuary and the doggedness with which you built this heaven on earth for our friends! An incredible feat that shows a level of dedication to these wondrous creatures that is unequaled. Thank you, my friends. Such a hard life elephants live. They only appreciate you when your time on this planet is almost up. Go lift your trunk to the heavens. God will look over you now. I’m utterly speechless, shocked and grief stricken by this heartbreaking news! 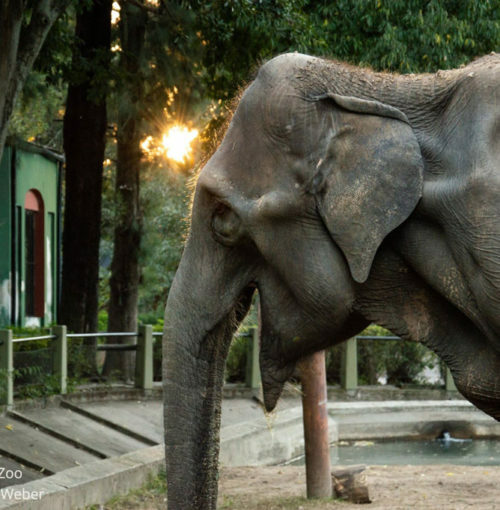 Pelusa’s death, like many other elephants’ in Kerala, India, and around the world is a stark reminder that they simply don’t have the will power to live in captivity. Shackled and enslaved, these elephants are exploited for profit! Sadly, it seems, most humans will only realize the intrinsic values of elephants when they perish from the face of this earth. When humans choke to death due to pollution, because there are fewer trees left to absorb the toxic gases that they release, they will feel the absence of the perpetual gardners of the earth – our precious elephants. Pelusa, our sweet soul, Rest in Peace. And if you can guide humanity from across the rainbow bridge, we would be deeply humbled and honored. I’m profoundly sorry for your silent suffering. But everyone at GSE and many people around the world loved you unconditionally, and we are collectively grieving your passing. We will miss your spirit amongst us!! I am so sorry that this world treated you so terrible. Picture you in heaven walking, playing and finally living the way you and ALL Elephants in captivity should experience in this World. Rest in in peace sweet girl. Pelusa will forever live on in the hearts of all who worked so hard to bring her home. My heart breaks knowing she will never set foot in the sanctuary. Her suffering and story should be the eye opener to how important it is for all zoos to release elephants into sanctuaries and give them the lives they deserve. We will never forget you dear girl. May you Rest in Peace. Bless you, Pelusa, for your sweet, gentle soul and for gracing a world that did not deserve you. May you now run free and find the boundless happiness you so richly deserve. Pelusa- I never met you in person, but I felt your spirit with me every day as I worked on your portrait (the best piece I’ve ever done). I “felt” you with me.. the kindness, intelligence, the sweetness and suffering in your noble eyes. I wish I could have explained to you why we humans did what we did to your life, deny you your family, your babies, your friends, your voice, your space, your choice, your health and ultimately your life. I would love to say, “we had to do it” or “it was worth it for such-and-such” a reason” but I can’t, no one can. You sacrificed everything you had for collective ignorance and selfishness, lack of understanding and ultimately arrogance. Which to me is inexcusable. What was done to you can’t be justified. I can only tell you with tear filled eyes that I will never forget you, and that I will do everything I can to rescue other’s from this fate. Pelusa it’s not hyperbole to say I love you- I love you and I miss what could have been. I only recently learned of Pelusa and what was hopefully going to happen for her. We all wanted sanctuary for her, but her version of sanctuary was different from what ours was. Either way, she found her sanctuary. My hope is that some day in the not too distant future, all elephants will live either in their natural habitat or in sanctuaries. Their lives need to be their lives lived only for them–not for any human. 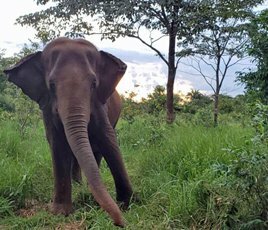 I hope that Pelusa’s story will reach many and perhaps open the hearts of those that were previously closed to the plight of elephants (and any animal) who live under human control. My dream is that future generations will learn from our mistakes and leave animals alone. They are not here for our entertainment. They have just as much right as we do to live their life in their way. To Pelusa and all elephant ancestors–may you be free in every way. Thank you for all your hard work and kind efforts. Elephants do not belong in zoos and sadly I live in Portland where they keep elephants to breed and to fund the zoo run by Metro. These magnificent creatures deserve so much better. Peace at last. I don’t believe this beautiful girl is at rest, I think she has found peace in a different sanctuary where all her family were awaiting her. No more sickness, no more sore feet, just finally roaming free. It is the ones left behind who now need to find their own peace and comfort in the fact that you all did everything you could for her. She was sent so much love from not only you, but from around our world that most humans, much less animals get. God bless you for all you do and will continue to do. Pelusa, thank you for helping teach us humans how to be better caretakers and friends with the life around us. We’re glad you had friends around for your passing. So sad that another precious Elephant has died because of human abuse, rest in peace Pelusa. I’m so sorry Pelusa that we failed you. As a human, I am ashamed. Rest in Peace, girl. You gave more than any being should ever have to. Your light will shine forever in the cosmos and in my heart, and you will never be forgotten. Dear Pelusa, I’m so sorry humans failed you most of your life. In the last couple of years some human angels tried their hardest to help you. You deserved a life of peace and freedom. You now have that peace and freedom. Enjoy beautiful girl. May you find Ruperta and all elephants that have passed before you. And may you all bond in friendship and family. You will be deeply missed. I just learned about your poignant life story and your most touching demise, Pelusa and I prayed that your soul finally finds the happiness you couldn´t have in this physical plane. And though bitter a comfort as it is, it still relieves us that at least in your final days these noble activists managed to look after you the best way they could and that your caregiver treated you with her utmost loving care, trying desperately to make it up for you all the pain and sorrow you had gone through in this life before being saved by them. It´s truly devastating to see that you could not make it through amd enjoy a brand new life in the blessed Sanctuary but your life will serve as an example and also an inspiration for saving many other elephants. Go the blissful lands you so deserve, sweet one. 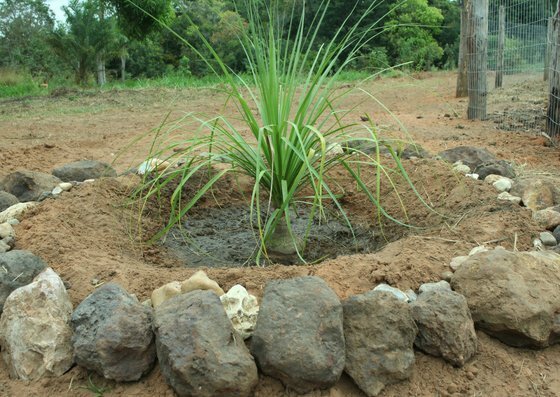 In memory of Pelusa and Ruperta, who also passed away recently at the Venezuela Zoo, I will plant two flowering shrubs in my yard. I will try to find flowering shrubs that are good for the bees and butterflies so that to help the native pollinators. I am absolutely heartbroken by the deaths of these precious elephants, my only consolation is that the Pelusa Medical Center being built at the Elephant Sanctuary Brazil will provide much needed medical care to all future elephants who come to the sanctuary. To Pelusa and Ruperta: rest in peace sweet precious angels, run free with your own kind. with your own kind; your family! These people will someday stand before the Lord of Lord and King of Kings and they will be judged. God created you to live free all of your life! This was meant to be, but man is greedy and causes pain. You are FREE now my beloved animals! Someday Jesus will return to earth and the earth will be like it was in the beginning, beautiful and green and unpolluted!! All the animals will grace the earth again in their natural habitats and FREEDOM ; it will be beautiful. Beautiful Pelusa… We all tried so hard to get you to sanctuary, but sadly you never made it… You are now truly free and in the eternal sanctuary of heaven… Love you darling girl… Rest peacefully sweetheart. ???????????? Hello Pelusa, beautiful being. I don’t know you (or may be i do?) but just reading about your death brought amazing tears to me. Love goes far beyond death. You do live in my heart. May you harbour no trauma from your life as Pelusa. May you know that despite its hardships, you inspired and changed the minds/actions of many for the better. You are recognized as a master teacher and perhaps you continue to guide and help now in Spirit. I want to thank you for agreeing to incarnate on Earth and assist the Earth process , knowing that suffering is a part of life here. Your contribution is immense , has contributed to the expansion of collective consciousness (especially of humans) and will not be forgotten. May you feel free, joyous, happy and light and perhaps choose an easier life next?! Love, love, love. I feel so ashamed to call myself human, and l don’t have the words to fully express how deeply sorry l am that man let you down so much Pelusa. I wish l could wave a magic wand so you are all free and safe. One day we will meet and l look forward to that day. Roam free beautiful one with your eternal herd, please save a space for me. The Animal Interfaith Alliance in Britain sends our condolences on the deaths of the beautiful elephants Pelusa and Ruperta. To all of you who did your best to help them during their lives of suffering, thank you for your compassion. This is blessed work. I am deeply sorry humankind failed you almost every step of the way. You deserved the life you were meant to live: wild and free. As you cross the Rainbow Bridge may your spirit live in peace forever, knowing we loved you. I could hear the whispers of your voice. to celebrate your life and rejoice. May your Spirit roam free in the Hearts of all Sweet One. Your gifts of Love will continue to shine in the eyes of all the elephants who come to rest in Sanctuary. An elephant never forgets and neither will we. Heartbroken that you never lived to see the sanctuary that you so richly deserved. You were a lovely elephant with a beautiful, kind personality. It makes me so angry when I reflect upon the mistreatment you had to suffer at the hands of callous cruel humans. I’d just like to finish by wishing the Pelusa Medical Center, being built at the Elephant Sanctuary in Brazil, all the very best. Pelusa, I am still so heartbroken that you didn’t make it to sanctuary to be with Maia and Guida. I prayed for you, I kept hopeful for you, I donated for you. I wanted that for you. Everyone wanted that for you and I hope somehow you felt our love for you. I hope that having Suz as your constant companion at the end made it easier for you. And I hope that having Scott so close by made you aware that you were cared for, loved and not alone. You will be so missed. I hope you have all the pears you can possibly eat now. <3 I can't think of too many words at this time. I am still so heart-broken. I only know that Pelu is no longer in pain and that we will do what we can to get other elephants to sanctuary.. She will forever be in my thoughts.